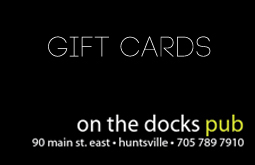 At the On The Docks Pub we offer giftcards, they make great gift ideas for any season! We are a "No Fry" resturant, serving only quality and tasty foods. 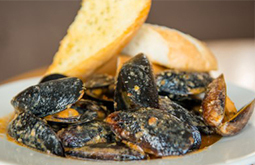 Check out our Menu page for a list of meals. 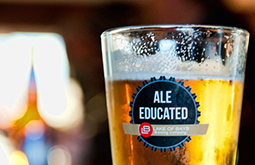 On the Docks Pub has been the hot spot for visitors and locals in the Huntsville area for the last 20 years. It is the epitome of Muskoka Cottage life. Relaxed atmosphere by day and summer party central every night! Located in the heart of Huntsville and right on the town dock; it doesn’t get more central than this!